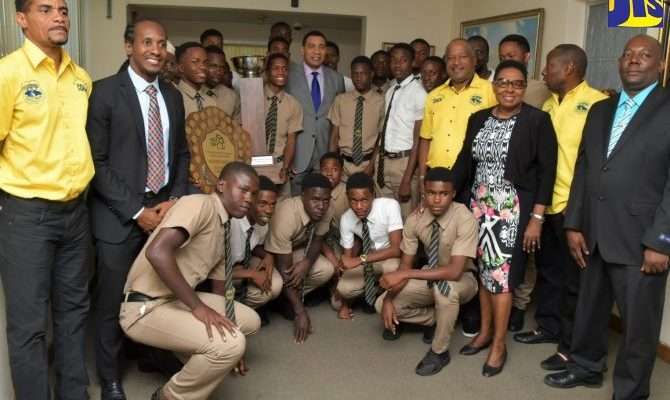 ISSA Dacosta Cup and Olivier Shield schoolboy football champions, Clarendon College were lauded in Parliament, yesterday. Clarendon College were invited to Gordon House by the Speaker of the House, Pearnel Charles as a show of appreciation for their winning performances. Congratulatory statements came from several Members, including the minister of sports, Olivia Grange. Minister Grange says they are totally deserving of the honor of being special guests in the House. Opposition spokesman on sports, Natalie Neita-Headley, praised the Lenny Hyde coached side for breaking strangle hold on the All-Island title by urban area teams.